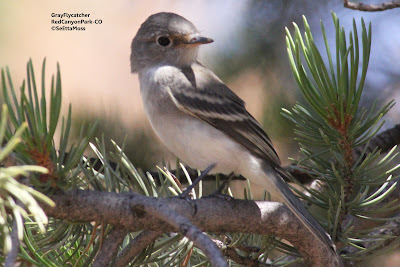 I returned to do more birding at Red Canyon Park north of Canon City. 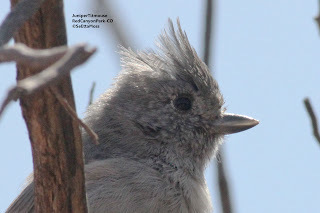 I saw a number of Juniper Titmice and even had a singing Bewick's Wren. 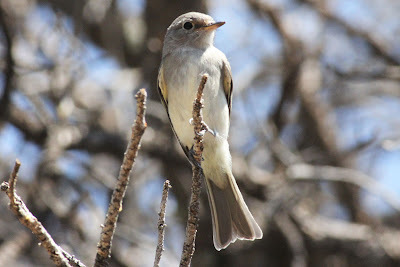 The above pic is an enlargement from the middle pic. 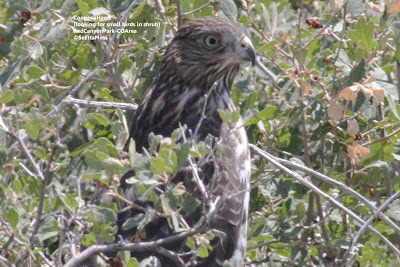 Young Cooper's Hawk: where did those birdies go? 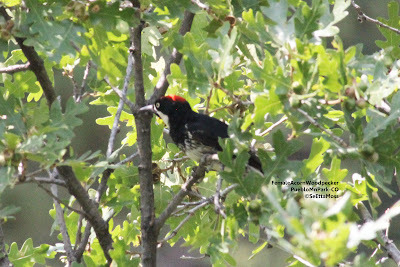 Though my focus when I visited Pueblo Mtn Park two days ago was the Hooded Warbler, I spent some time observing the Acorn Woodpeckers. 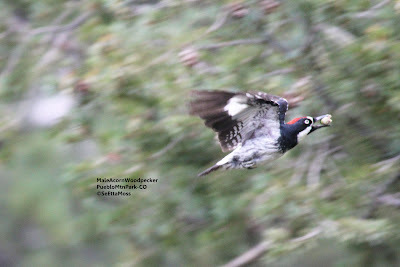 Just as during my prior visit,they were busy harvesting acorns and storing them in the larder tree. 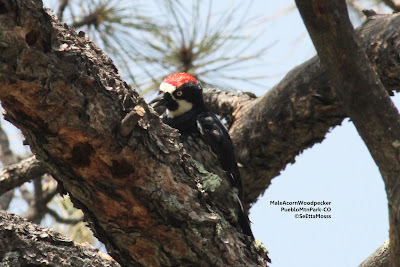 The Acorn Woodpecker in the top photo was in the scrub (Gambel's) oak to select an acorn.